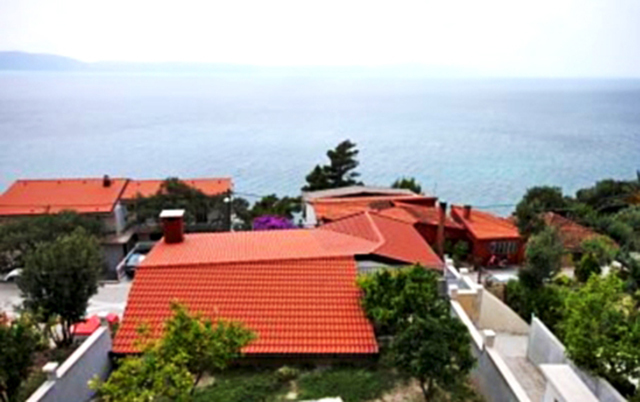 House is located in the port just 10m from sea and 100m from beach. 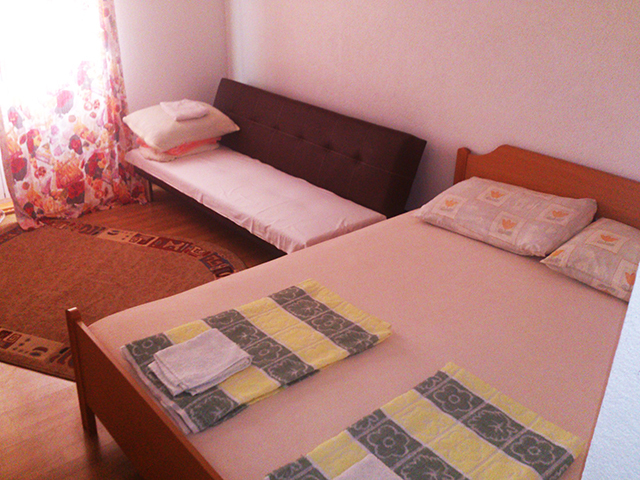 House includes one big apartment for 4-7 person and two studio apartments for 2-3 person. 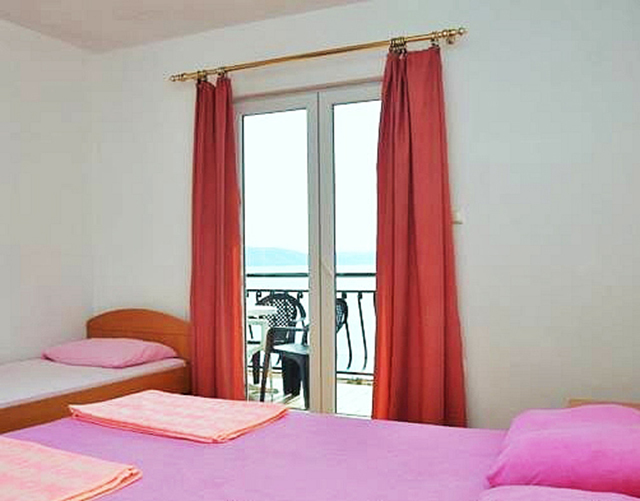 Apartment 1. for 6 person, includes two bedrooms, bathroom, living room, kitchen, big balcony with sea view, air condition, parking. 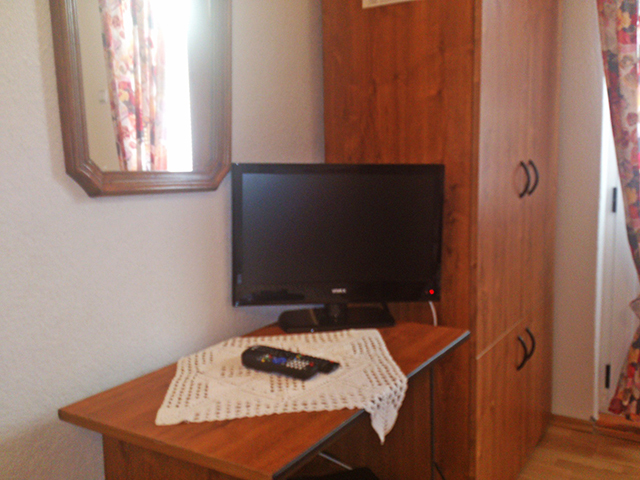 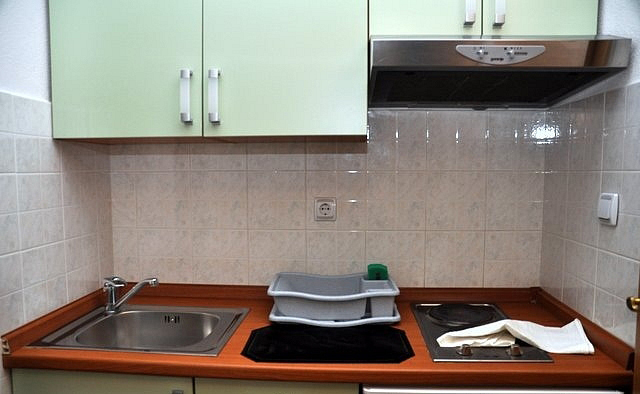 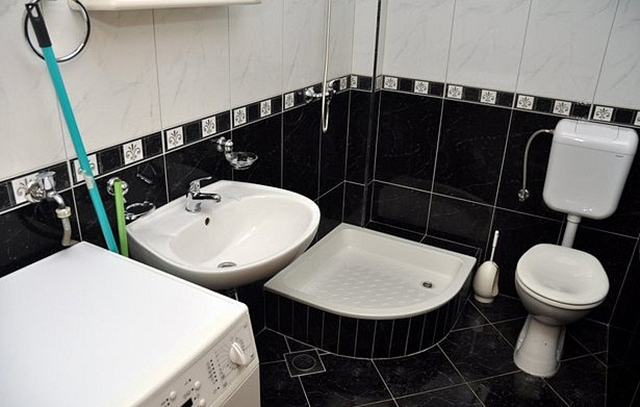 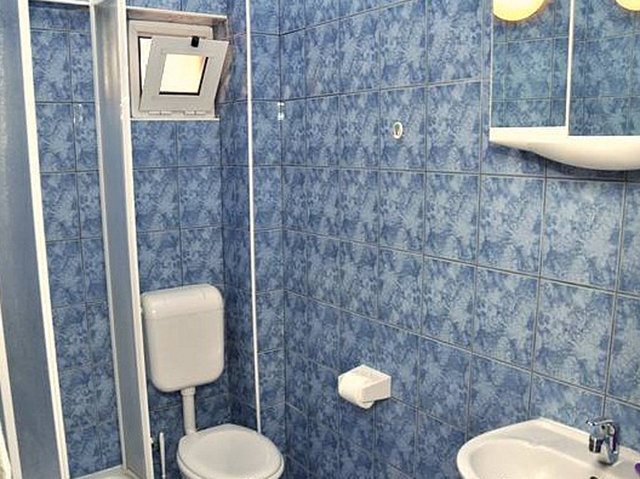 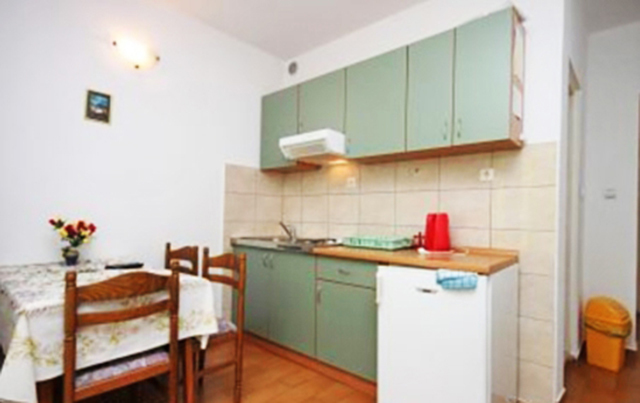 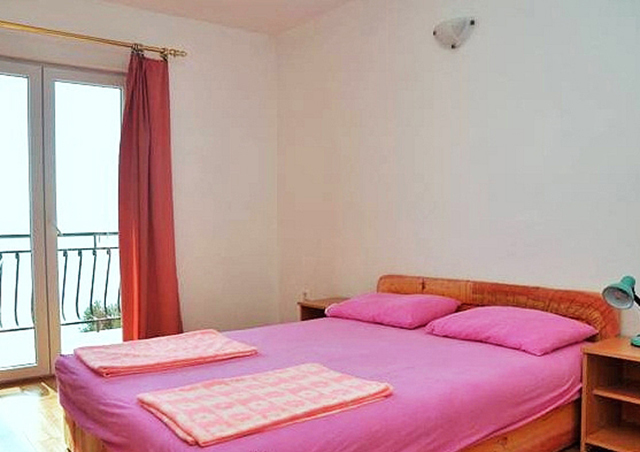 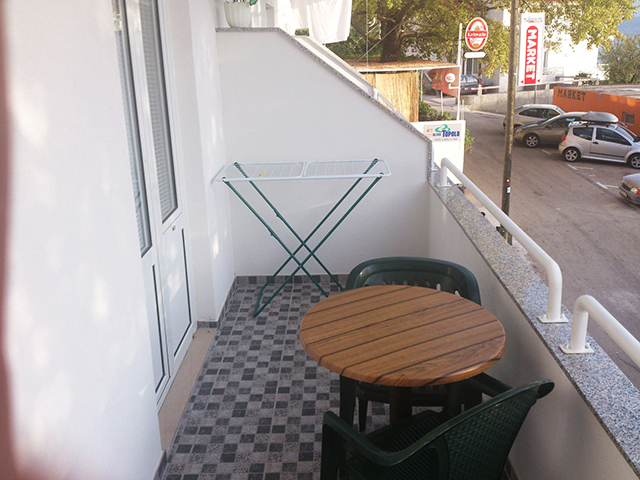 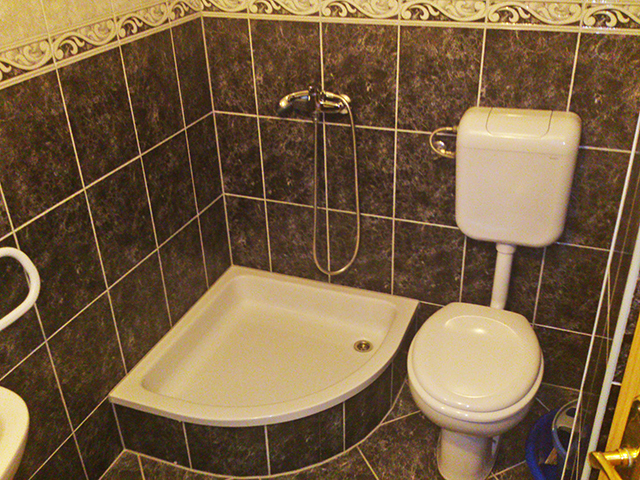 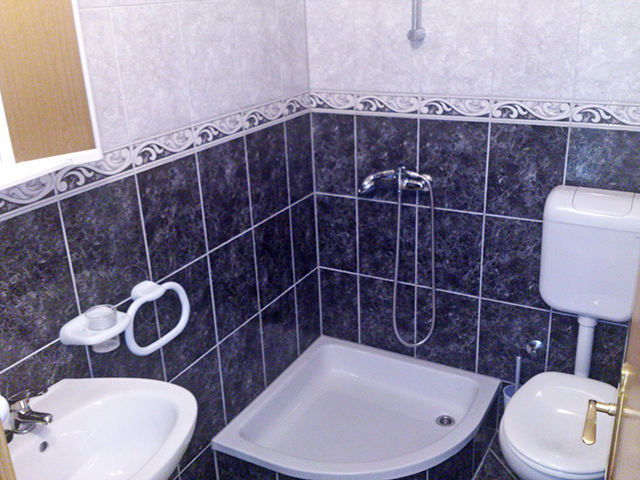 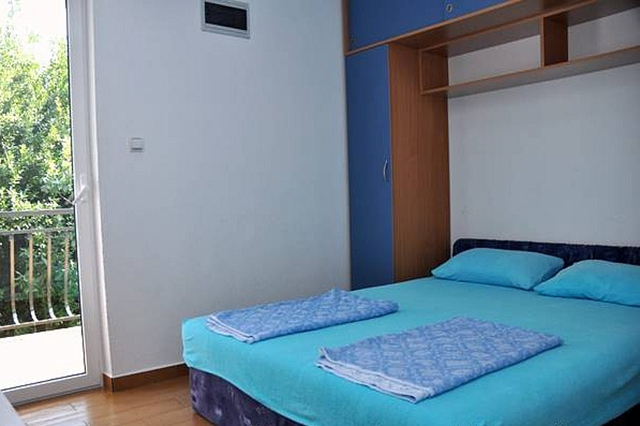 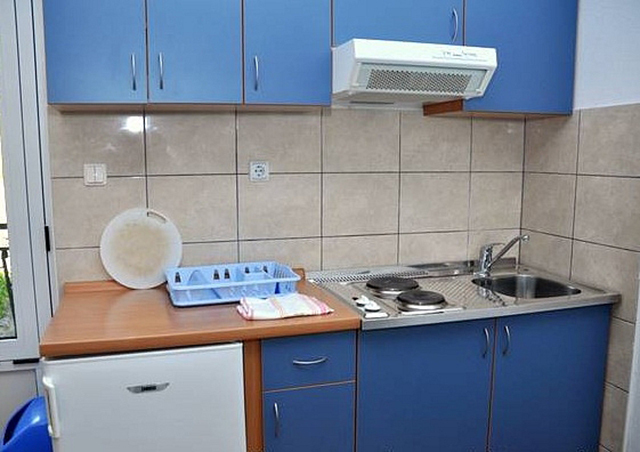 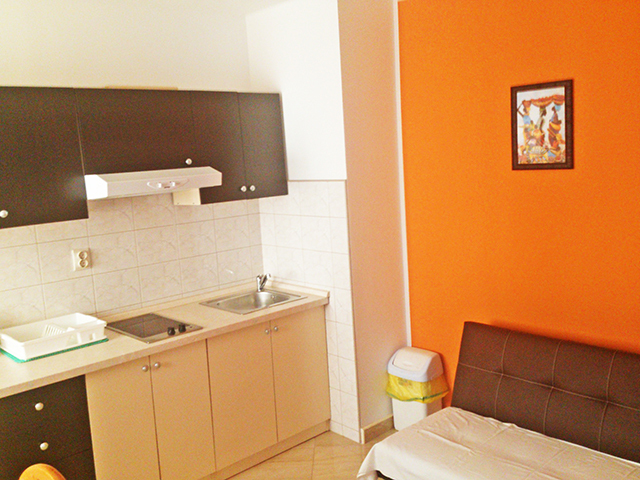 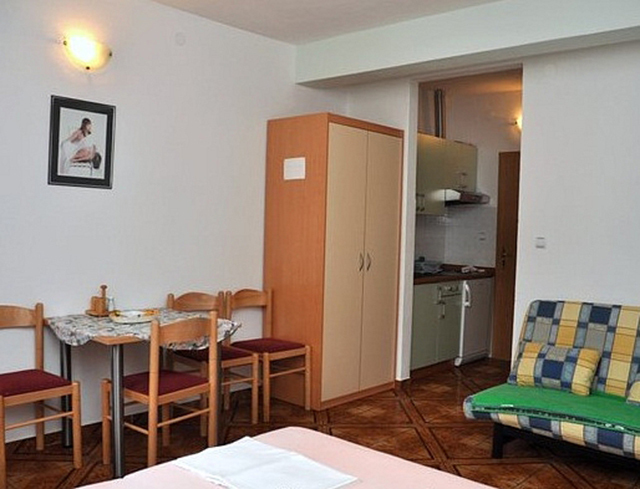 2.Studio apartment includes double bed, single bed, bathroom, kitchen, parking, wifi,tv. 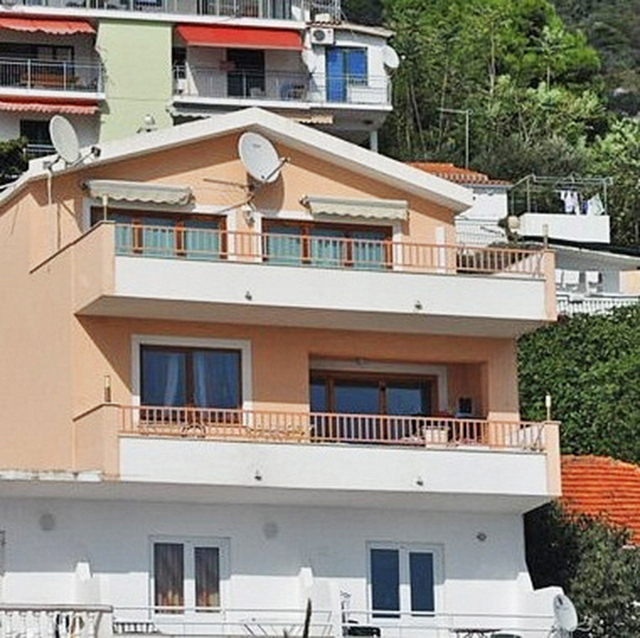 House is located 100m from the sea. 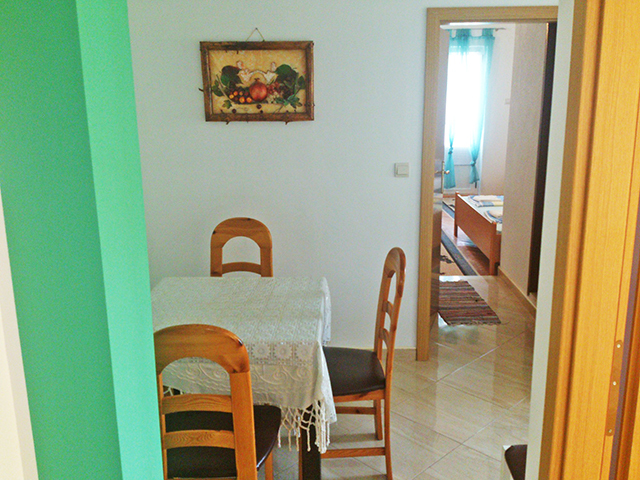 Includes three apartments for 4-5 person. 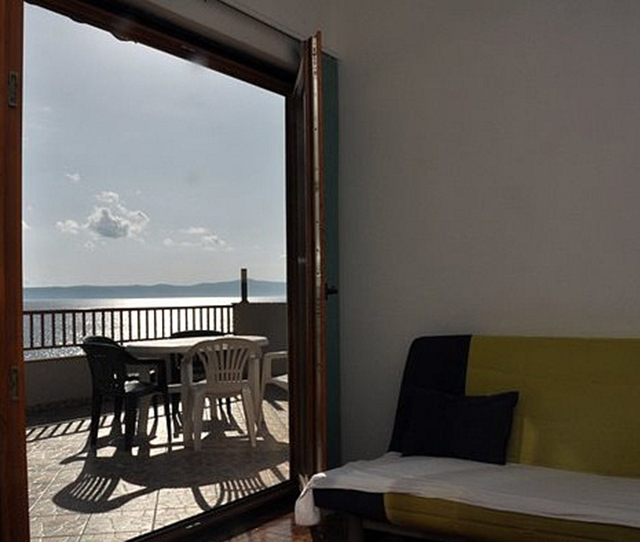 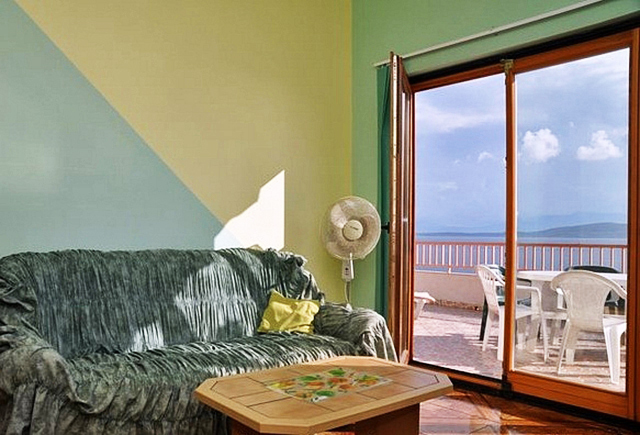 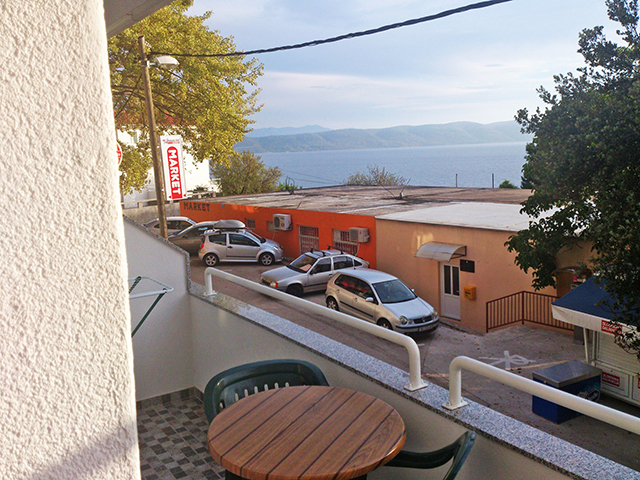 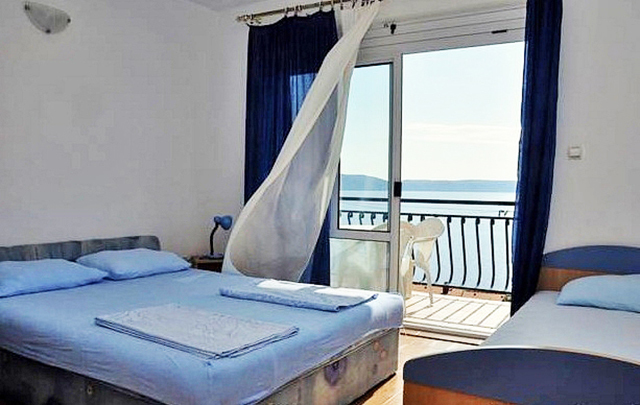 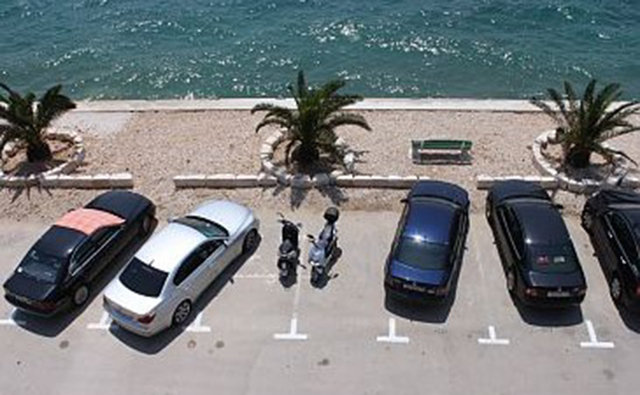 All apartments include balcony with sea view, air condition, tv, parking. 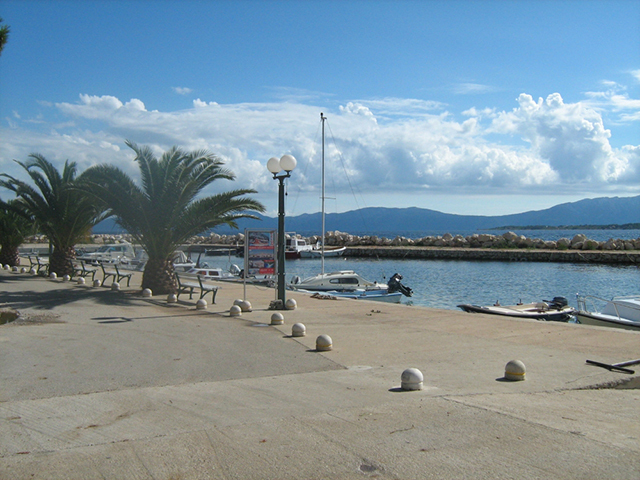 Possibility for half board in restaurant in the port with beautiful sea view. 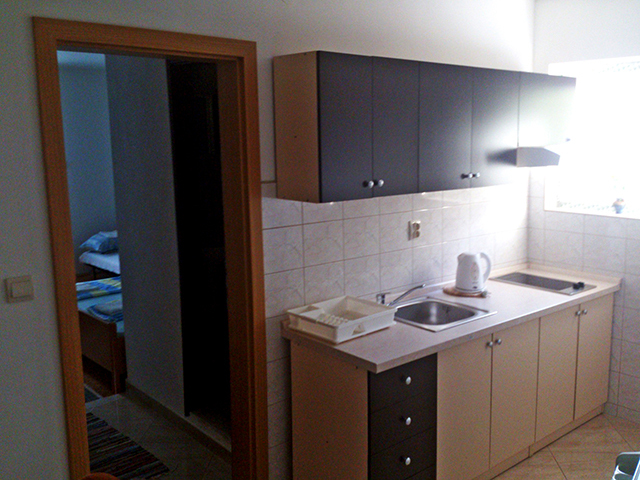 Apartment 1 for 3- 4 person, includes one bedroom, living room, bathroom, kitchen, parking, air codnition, tv. 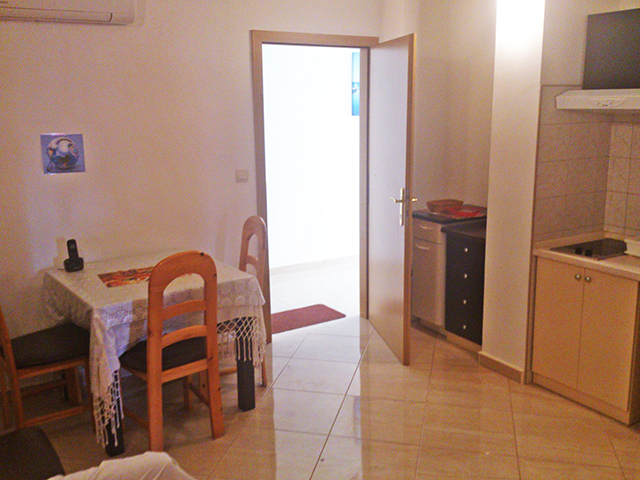 Apartment 2 for 4-5 person includes two bedrooms, kitchen, bathroom, balcony , air condition, tv. 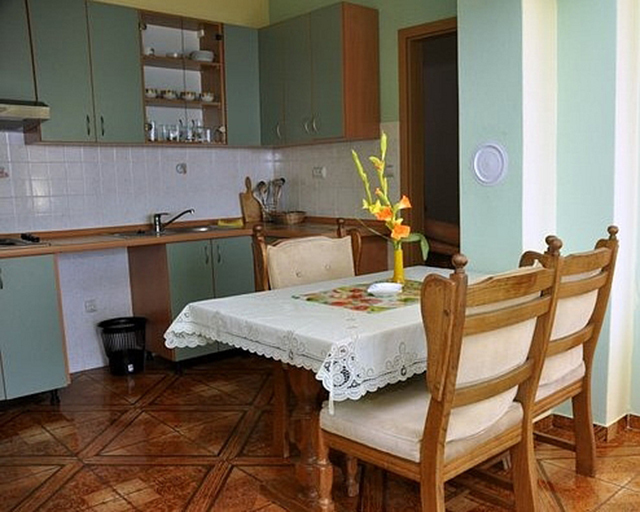 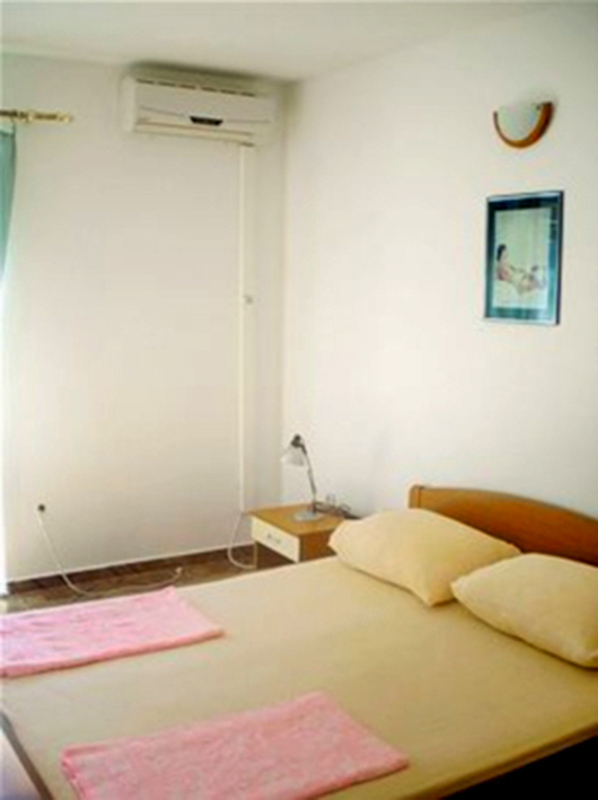 Apartment 3 for 4-5 person includes two bedrooms, kitchen, bathroom, balcony, air condition, tv. 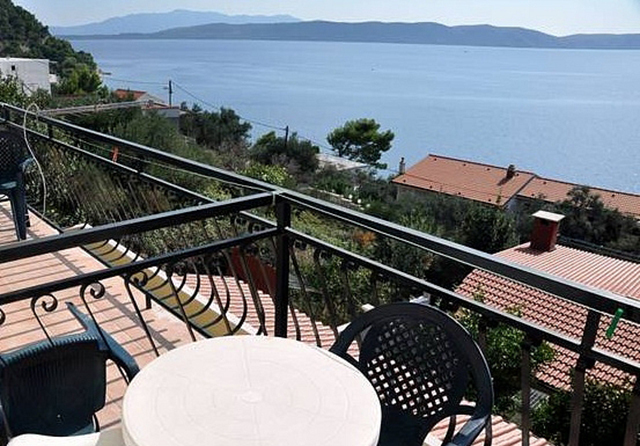 House is located 200m from port and beach. 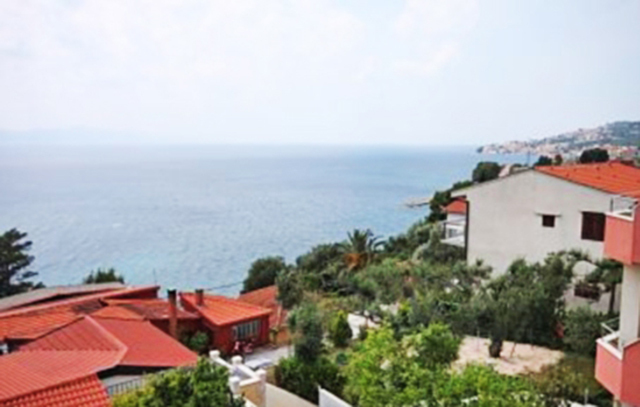 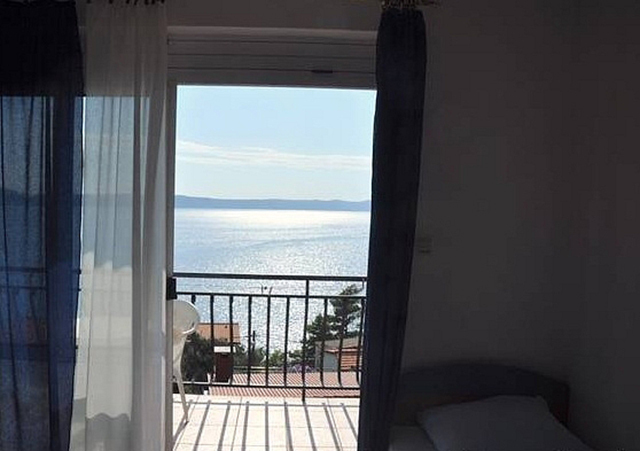 House includes three apartments with beautiful sea view. 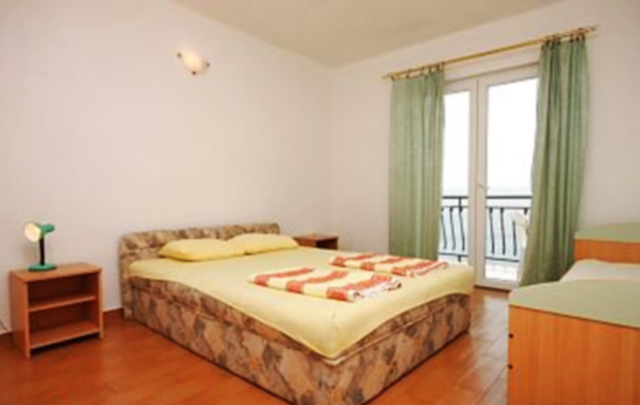 Apartments are for 3-4 person max. 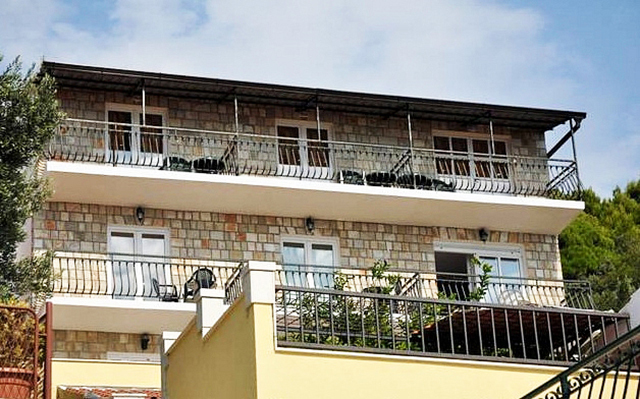 Apartments 1 and 2 are for 3-4 person , 40m2, one bedroom, living room, kitchen, balcony with sea view, parking, tv, air condtion. 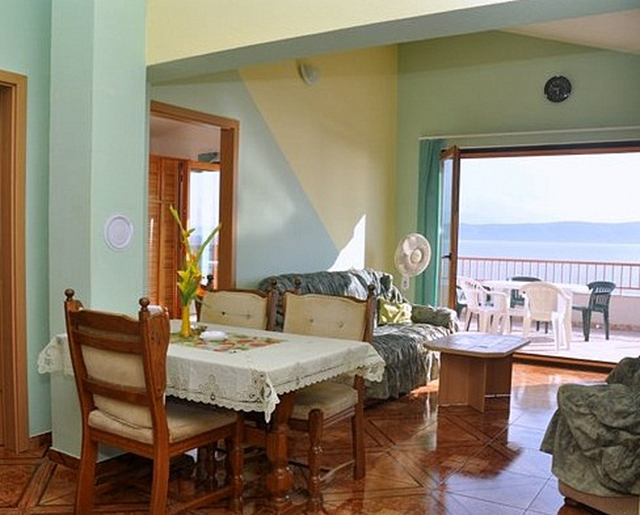 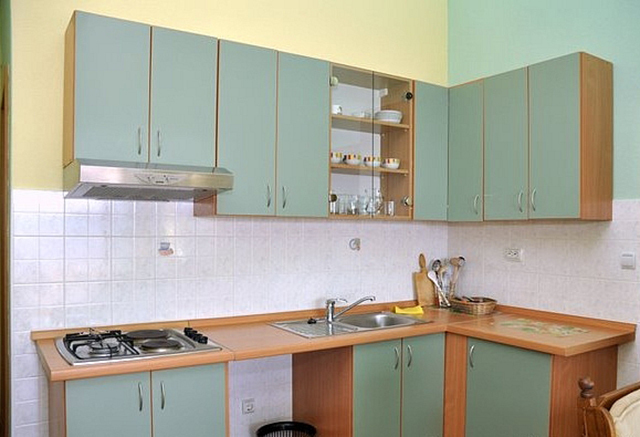 Apartment 3 , 53 m2, for 4-5 person, two bedrooms, bathroom, kitchen, balcony with sea view, parking, tv, air codnition. 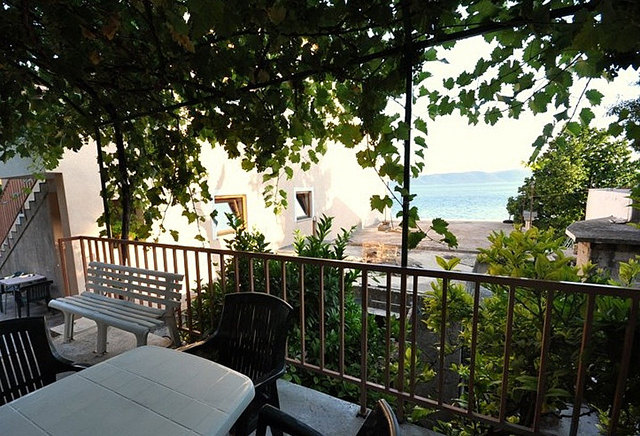 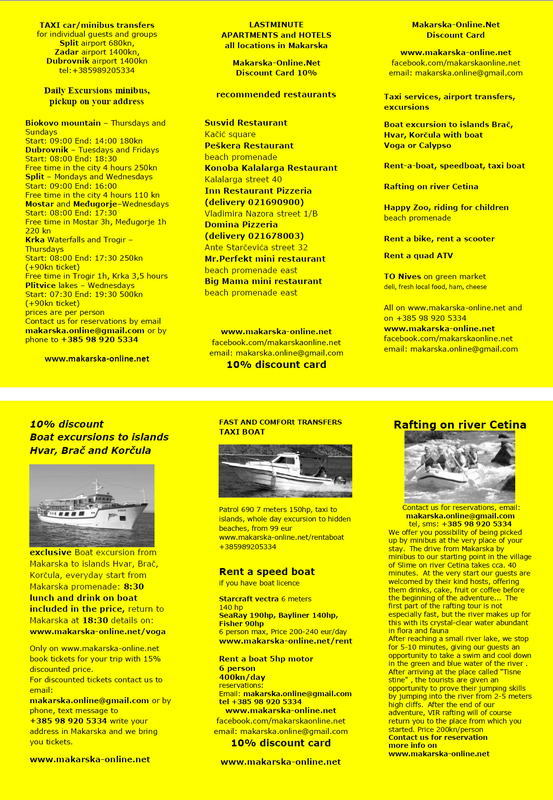 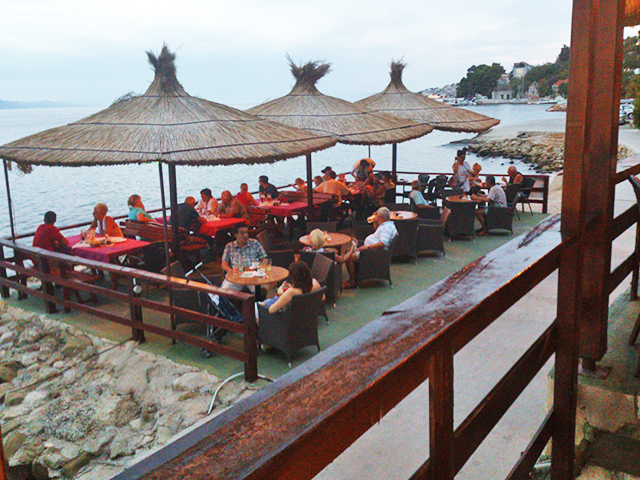 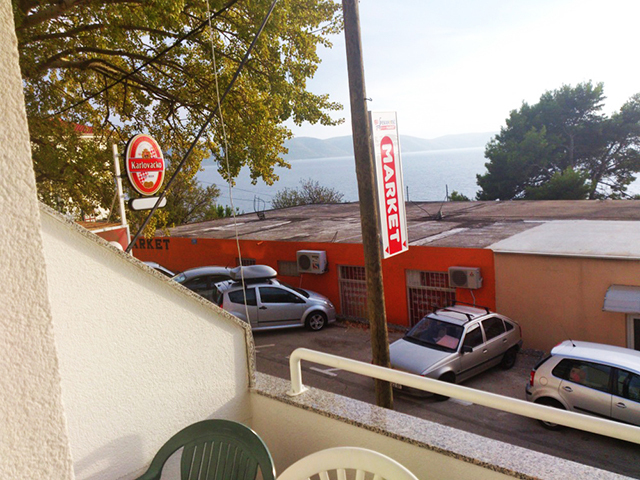 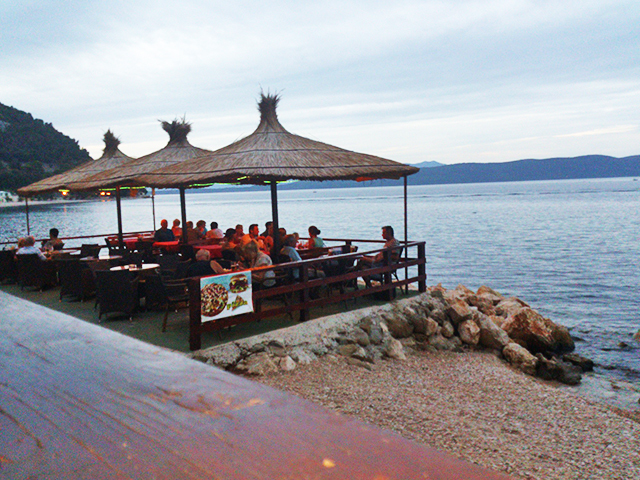 Restaurant is located in Živogosce port, 5 m from sea in very beautiful ambience. 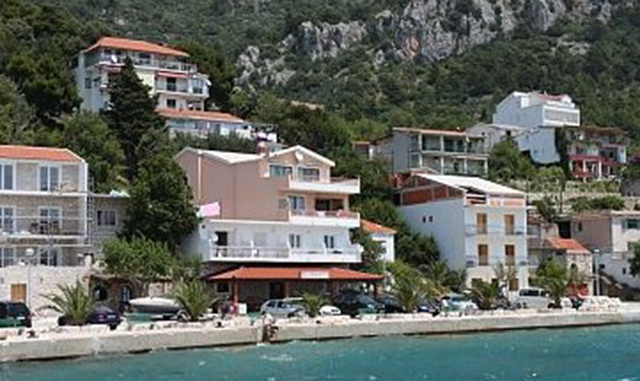 Restaurant is in ground floor of house Riva. 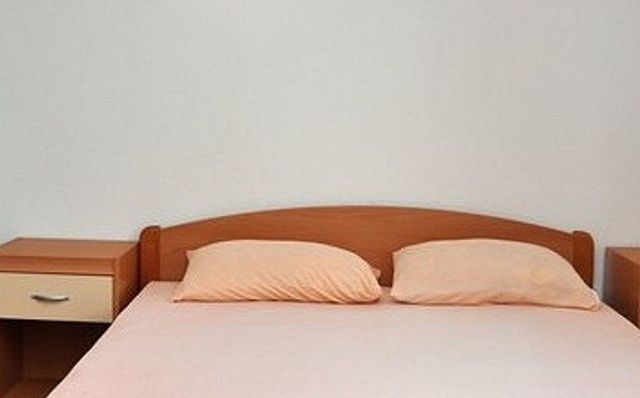 Guests from all 3 houses can use half board in restaurant. 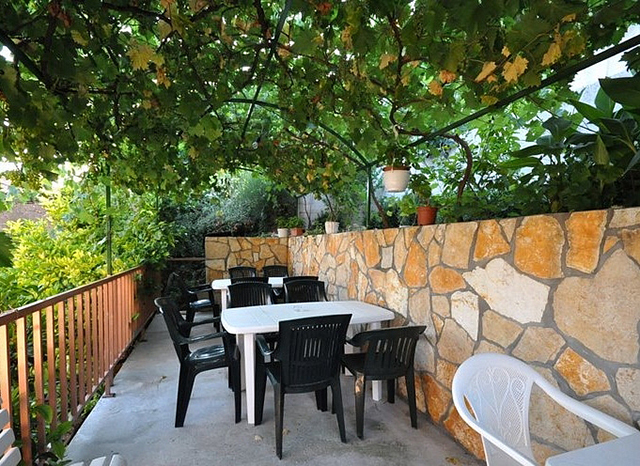 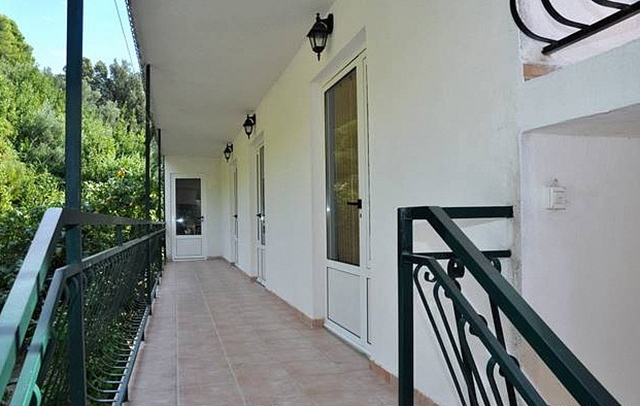 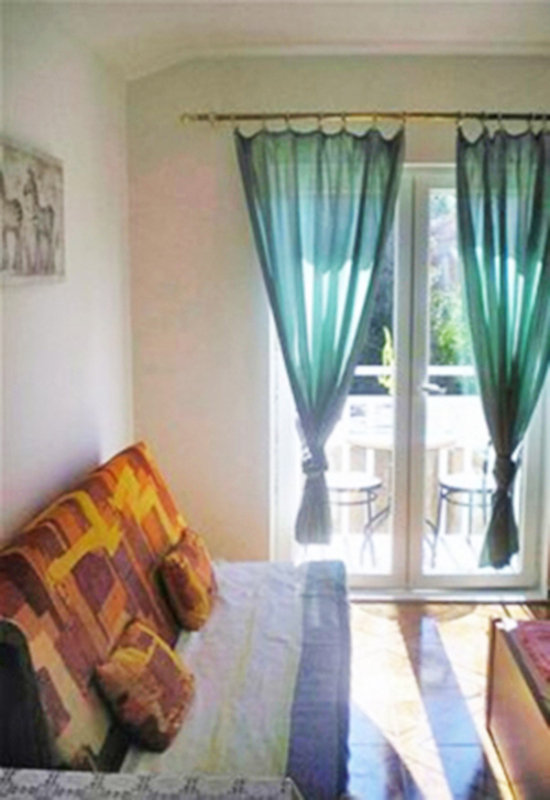 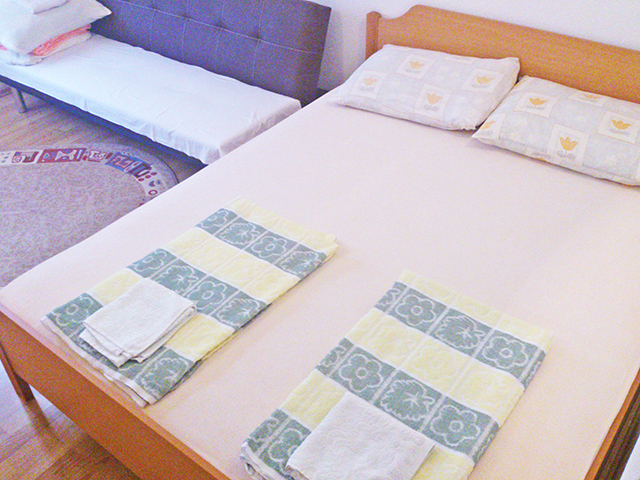 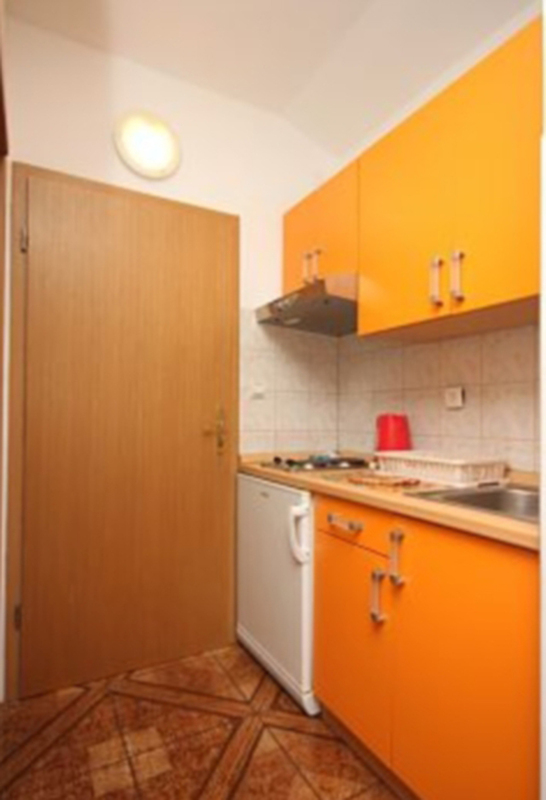 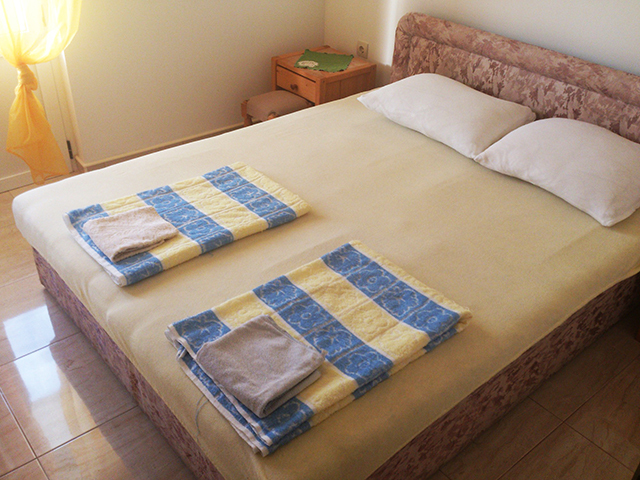 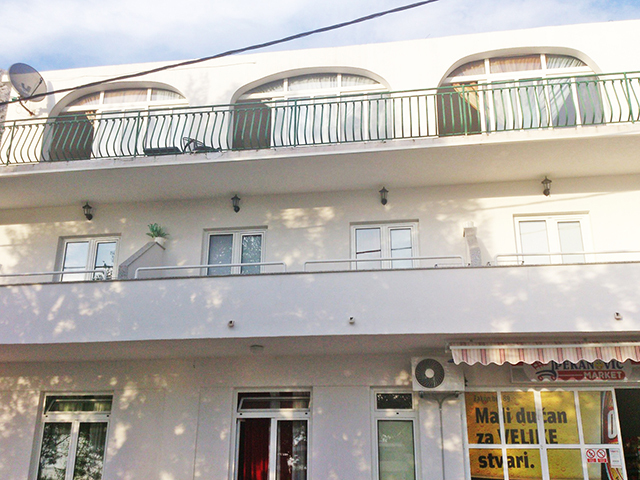 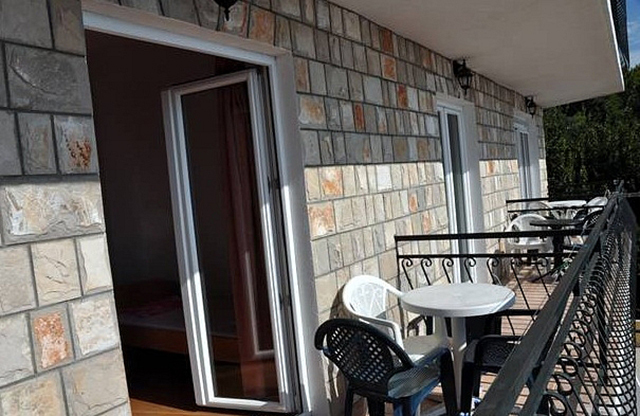 All Houses is accessible by car, Parking space, Smoking is allowed inside the house, Bed linen changed on request, Towels are changed according to circumstances,Half-board is available with surcharge 12 eur/person. 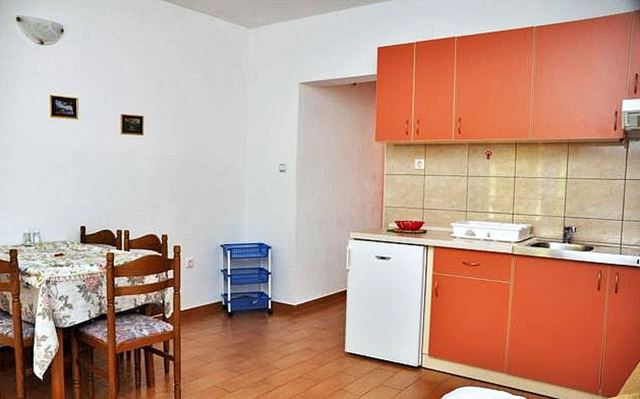 Air condition 5 eur/day/apartment. 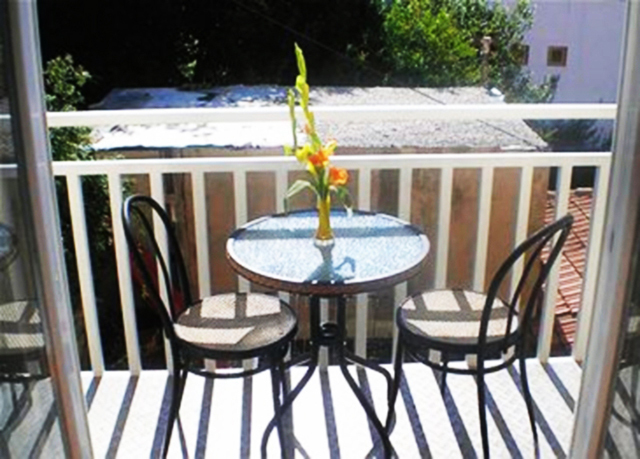 Apartments are located in quiet ambience.